By isolating elements of reality the five artists lead us into illusionary worlds where we constantly need to readjust our visual references in order to interpret what we see. 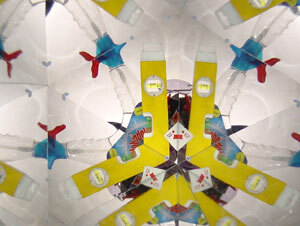 For the last twelve months, Rieko Akatsuka and Alexa de Ferranti have worked together to produce a giant kaleidoscope. 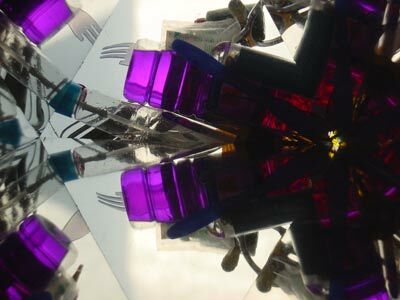 The kaleidoscope simulates complete breakdown and disintegration of everyday objects by means of a tunnel of mirrors. 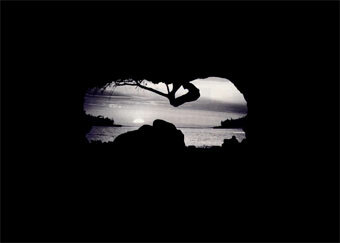 The objects themselves are in reality veiled and presented in the world beyond the end of a tunnel, while the viewer is faced with a startling chaos. 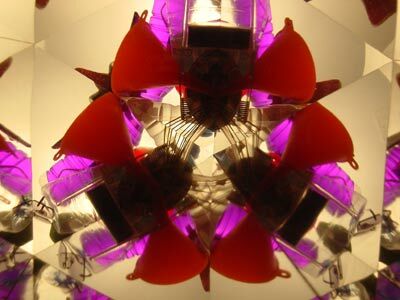 This visual disorientation is mediated by the kaleidoscopes creation of geometrical patterns repeated into infinity and accordingly, our unconscious need to organise visual data is both suspended and engaged. The eye becomes entangled by the simple act of looking. In her new series of photographs, Nicky Coutts selects hardly noticeable scenes from the background of classical paintings. 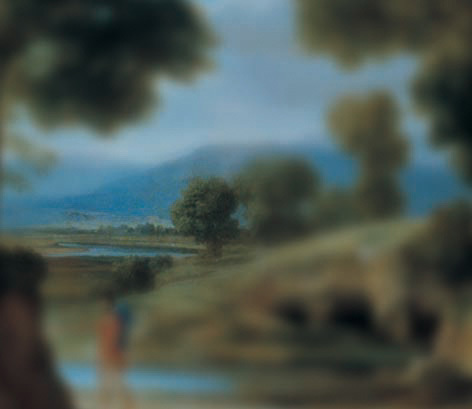 Very small details (a brook meandering through the countryside in a Breughel painting) are held in focus while the surroundings are thrown out into blur. The effect is of tunnelling into miniature worlds. Any sense of the original or means of orientation loosens in definition. Rachel Reupkes video shifts reality by juxtaposing a made-up frame of vision with incidental happenings. 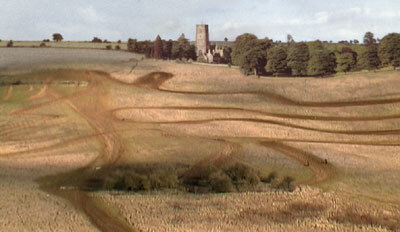 A bike track becomes a toy circuit, the background an idyllic memory where time is suspended. From found photographs to old postcards Adam Thompson creates images of castles and picturesque views floating in a sensual background of velvety black. The artist draws the viewer into a perfect, romantic world. A catalogue with an essay by Simon Grant will be published. The exhibition will tour to Japan in Autumn 2003, co-curated by Tatsuko Tomiyama and will include work by Tomoko Kaneko.